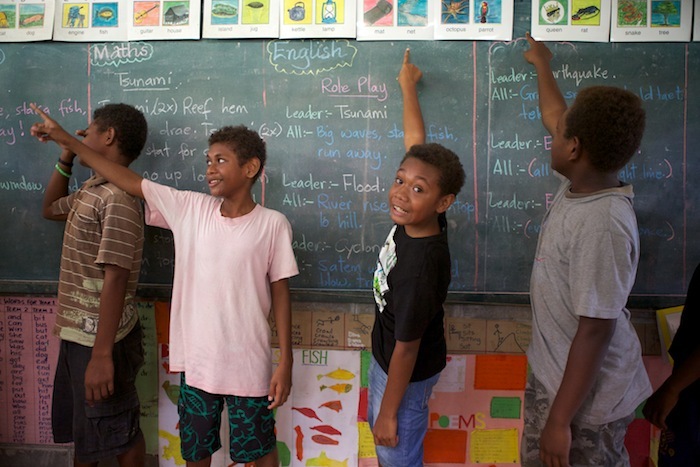 Considering the devastating floods that hit the capital Honiara in April this year and the ever increasing intensity and regularity of these events, the program is essential. 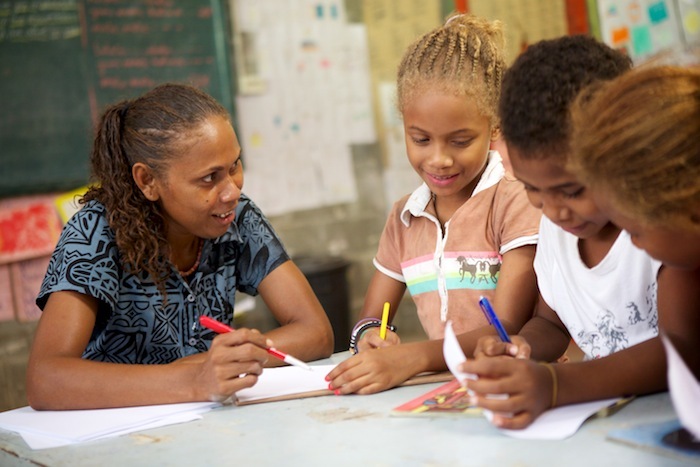 The Australian office was in contact with the schools straight after the floods and all children were accounted for. 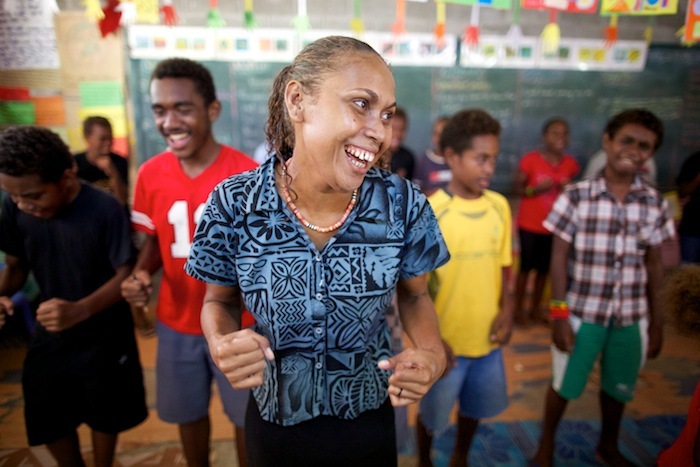 It was my first time in the South Pacific and it lived up to and exceeded my expectations. Rich colours, beautiful oceans, lush green jungles and amazing people….. 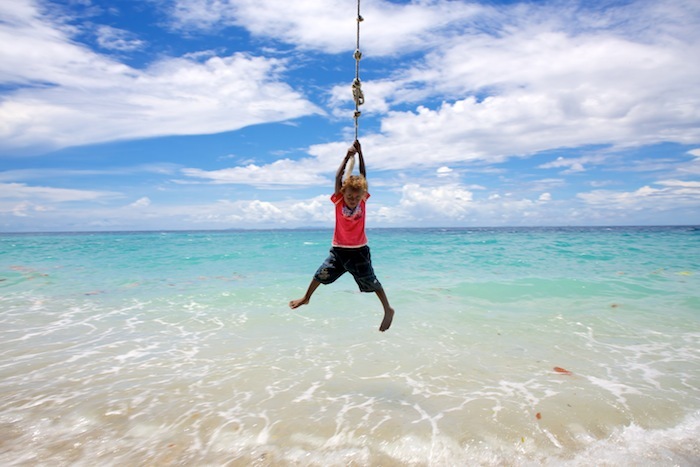 The sea is a popular part of island life where people to go eat, drink and children play. 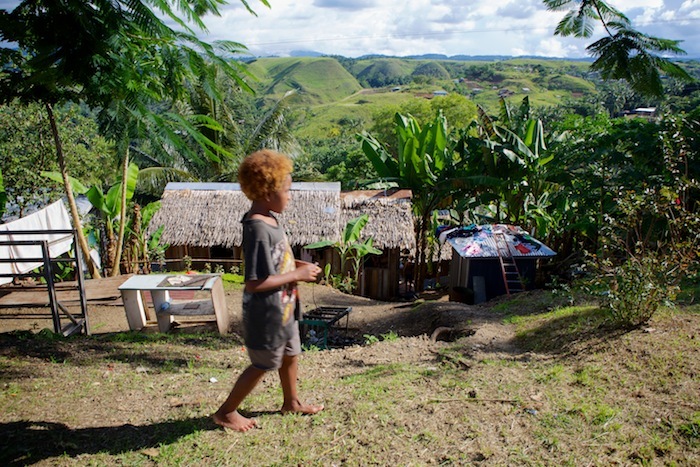 Many villagers are settled close to the sea which are at risk of tsunamis and tidal surges with children being especially vulnerable during these events. 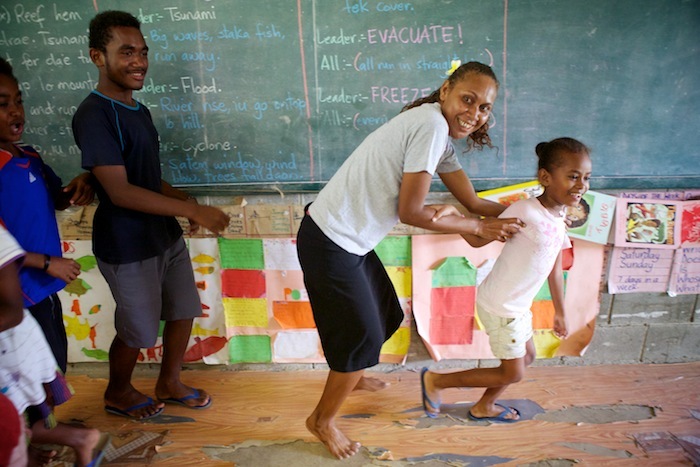 Solomon Islands – Disaster Risk Management Project from Richard Wainwright on Vimeo. Martina and her students role play running up hills to escape a flood. 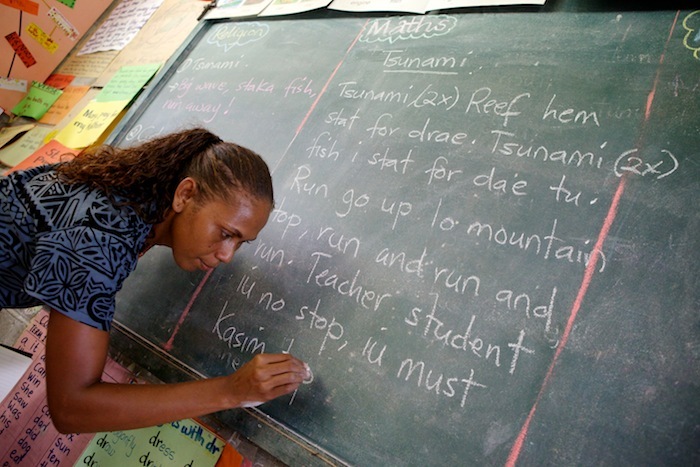 Martina writing the words of a nursery rhyme about what to do in a Tsunami. 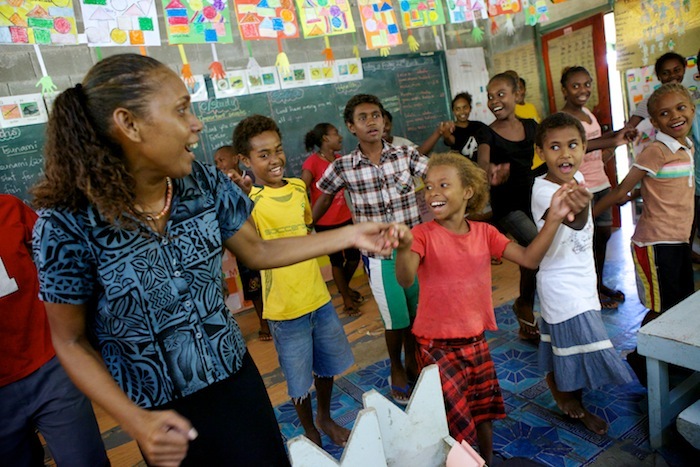 Children singing nursery rhymes about what to do in an emergency. 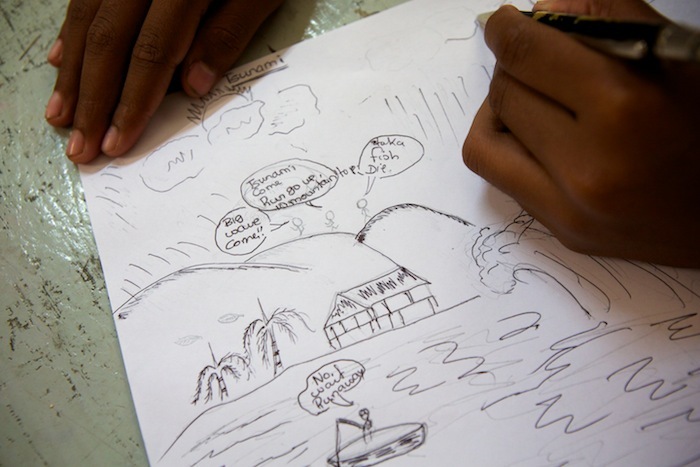 A student draws a flood scene. 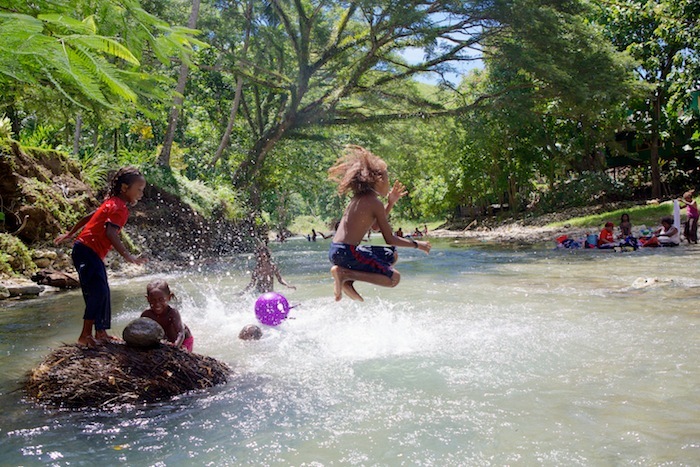 Children play in the river that runs through Tuvaruhu village in Honiara, the capital of the Solomon Islands. The river is often a focal point of village life where people wash, play and fish. The rivers flood regularly and present a danger to many inhabitants, especially children. 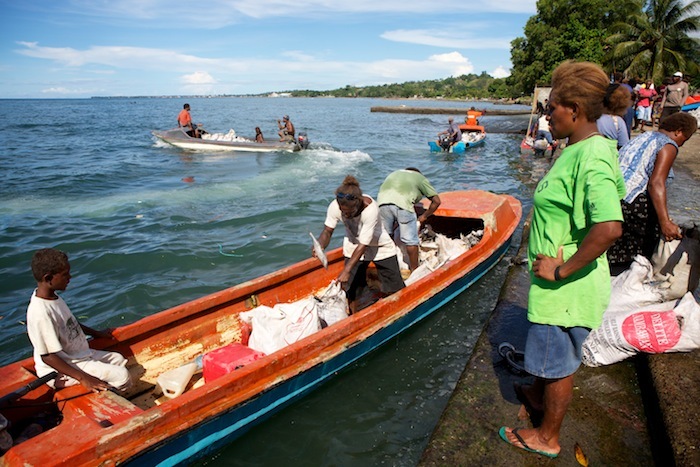 The majority of people in the Solomon Islands live a subsistence life, fishing and growing their own food on plots of land by their houses and make some money by selling their produce to local markets. A general scene overlooking Honiara, the capital of the Solomon Islands. Many of the houses are built on crowded hill sides from local materials making them susceptible to landslides during times of flooding, cyclones and earthquakes. 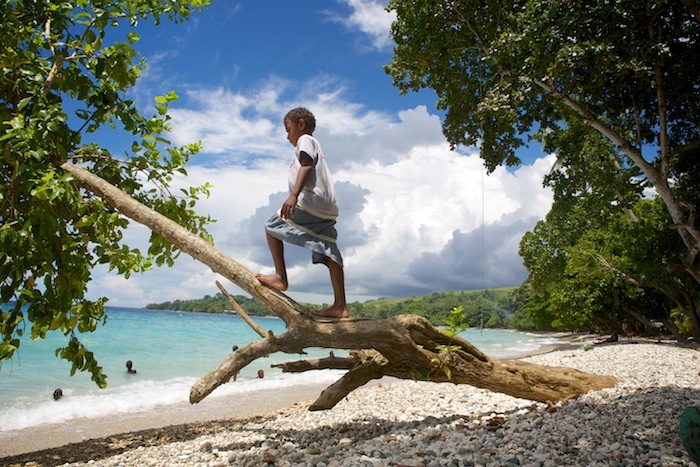 A child playing on Kakabona Beach in Honiara, the capital of the Solomon Islands. Posted 24 June 2014 in All, Foreign Assignments. .